NEW YORK (Forex News Now) In this realtime forex weekly forecast, we’ll check the support and resistance levels for EUR/USD, USD/GBP, EUR/GBP, and USD/JPY and see where the intraweek statistics will lead. Overview: Debt jitters regarding the euro zone and its peripheral members have resurfaced, sending the euro down against the dollar following substantial gains after the Federal Reserve’s announcement on November 3. Since the mid-week peak, the euro has dropped considerably and could weaken further with additional forex trading news this week. 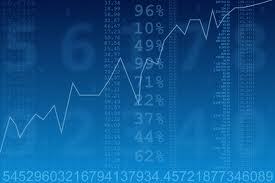 Most traders, however, see the drop as a correction and not the beginning of a major downward trend. Support: 1.3835 (level 1) and 1.3640 (level 2). Resistance: 1.4254 (level 1) and 1.4478 (level 2). Overview: The pound has also dropped against the dollar, mostly due to strengthening positions in the American economy coming off of a favorable jobs report released last Friday. GBP is still up considerably against the dollar, though, and will likely prolong its gains throughout the year. So far, the pound is down 2.62% on the year against the dollar, but is making a move towards the 52-week high of 1.69. Overview: The realtime forex weekly forecast for EUR/GBP suggests that the pound is making a move against the euro as the euro battles its own problems. Last week, the euro suffered due to weak German industrial output. This weekend, bad news about debt problems resurfaced, this time dealing with the Irish National Bank and its ability to fund its budget. The quarterly inflation report due out from the Bank of England on Wednesday could move the pair further. Overview: This week’s realtime forex weekly forecast for USD/JPY sees the dollar see-sawing back and forth with the yen ahead of the G20 meeting on the 11th and 12th. Japan in particular is anxious regarding the summit because of the issues on the table concerning currency intervention. The yen is still higher than the Bank of Japan would like, but so far Japan has refrained from intervening again in the market to devalue its currency.